Prince Harry has revealed that he still 'panics' when he bumps into his grandmother the Queen in a new documentary. 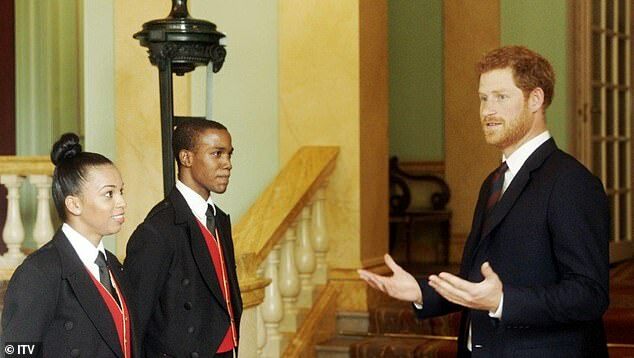 In a trailer for the new ITV series Queen of the World the Duke of Sussex is filmed chatting to young people who won places on the Royal Household Caribbean Hospitality Scholarship initiative. 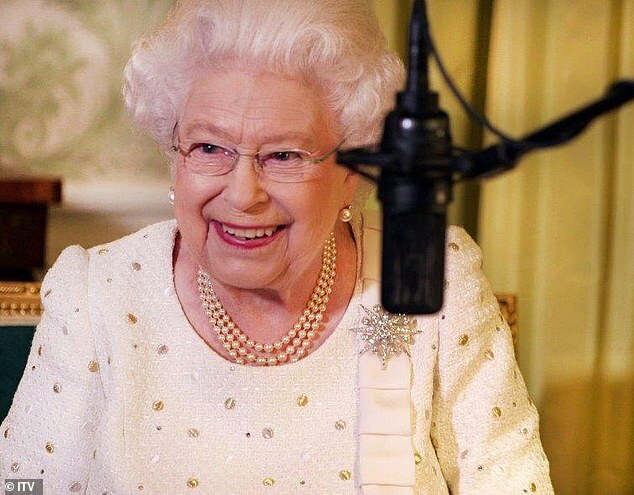 He tells them: 'You guys have spent way more time in Buckingham Palace than I ever have – and you've only been here two weeks. 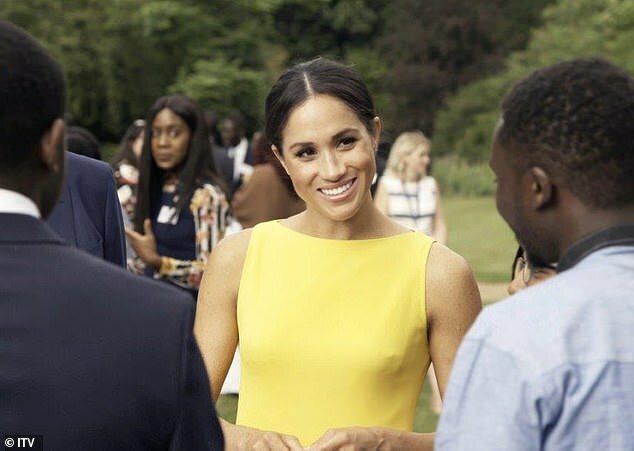 Harry, 34, appears along side several other members of the royal family in the eye-opening new documentary - including his wife the Duchess of Sussex. 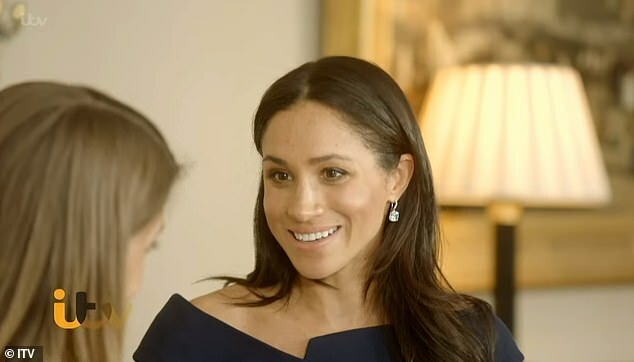 Meghan, 36, appears in her first television interview as a royal where she discusses taking over Her Majesty's responsibilities in the Commonwealth. The two-part programme will also see Meghan discuss her wedding day and the elaborate veil she wore in her first documentary appearance as a member of the monarchy. The two-part programme will also see Meghan (seen on the show) discuss her wedding day and the elaborate veil she woreMeghan is reunited with her bridal gown and veil as they are prepared for a new exhibition at Windsor Castle starting in October. 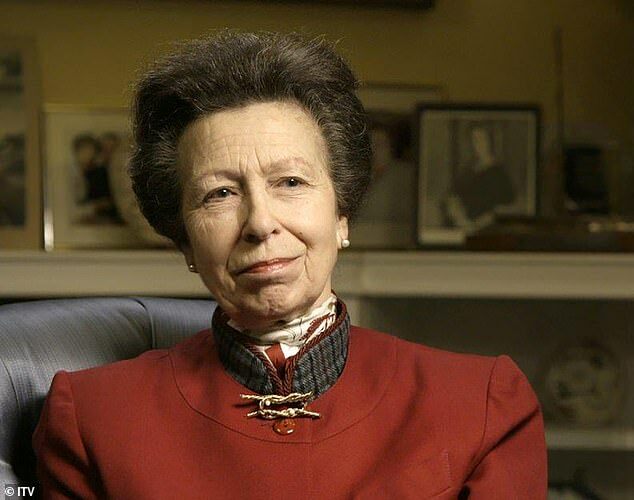 In the series the Princess Royal is interviewed about her first trip on the Royal Yacht Britannia in the 1950s, when she and the Prince of Wales, both young children, were put to work 'scrubbing and polishing'. Designed by Clare Waight Keller for Givenchy, Meghan's bridal gown was a simple, classic creation, but the elaborate veil was embroidered with flowers from each of the 53 Commonwealth nations at the duchess's request. The Los Angeles-born former actress also selected two personal favourites: a California poppy and wintersweet, which grows in the grounds of Kensington Palace and outside her and Harry's home, Nottingham Cottage. 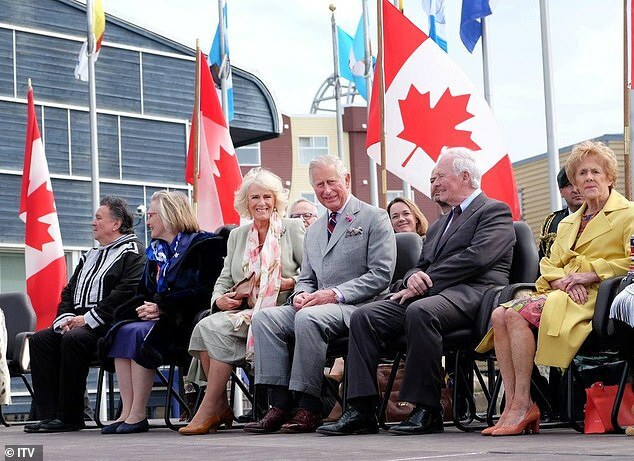 Filmed over more than a year the documentary makers were given access to private home movies and the programme shows the role played by the Royal Yacht Britannia in the Queen's early tours of the Commonwealth. Anne says: '(I have) very good memories of that trip…The journey out and the sea nannies that we had to stop us from launching ourselves over the side were very good memories…We were kept very busy.